In addition to the aforementioned clouds in New Sky’s new sky, the engine update also brings atmospheric scattering, a more realistic blue sky, better time-of-day effects, and new fog and sandstorm effects. Realizing the issues all this can cause for older computers, Gaijin and Targem said that “heavy emphasis” was put on optimization, to make sure that everyone can enjoy the shiny (or hazy, depending on the conditions) new effects. If you’re here for the game and not so much the graphics, New Sky also has a lot to offer on that front. Clan Battles are now a best-of-three affair, and the best prizes, uranium ore, have been extended to the top 60 positions on the ladder. 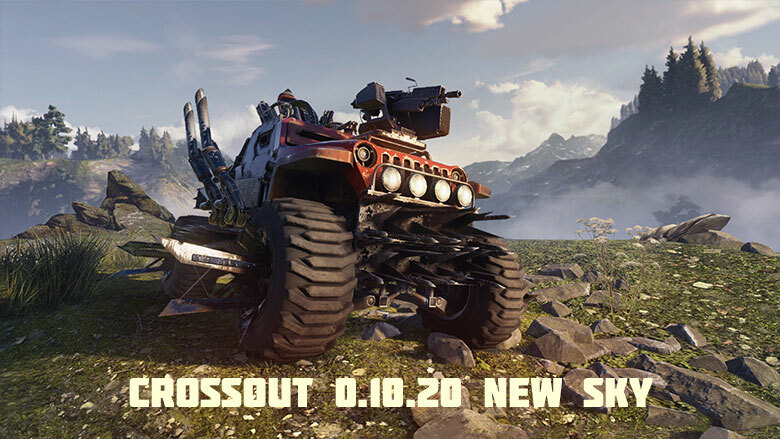 To learn more about the update and everything it brings, check out the patch notes on the Crossout site. So its just better graphics… nothing newin game play ? new maps ? new mechanics ? No airplanes ?